Adam acts as Finance Director leading on all finance related matters and strategy. He is also a member consultant who has led on a number of Eastside Primetimers projects where he focuses on feasibility, diversification, investment readiness and new contract bidding. Organisations he has worked with include Toynbee Hall, Voiceability and Vital Regeneration. Adam is a Chartered Accountant and Chartered Tax Adviser and spent 25 years with KPMG as a client partner and in various leadership roles including Head of Tax. During his time at KPMG he has been responsible for strategy, finance, performance, marketing and people/culture both as day to day business and as significant one off projects. 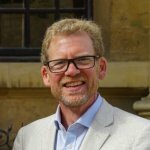 Since 2011 he has been working as a consultant with charities and social enterprises helping them to develop and implement strategies for growth and financial sustainability. Adam is the Chair of London Print Studio, a visual arts charity based in West London.